Landing a career straight out of college is every student’s dream, but in today’s job market, such an accomplishment can prove to be an overly-daunting feat. But, it doesn’t have to be. As many other colleges increase their student population through advertising promises of connecting students with jobs right out of college, Grand Valley State University utilizes a different method. Lisa Knapp, an assistant director at the GVSU Career Center, employs a variety of strategies when meeting with both students and alumni who are struggling to find work. These range from a self-observance of interpersonal and networking skills to breaking down distinct qualities employers are looking for and what qualities to look for in an employer. She said the job process is more than simply about resume building; it’s about the experiences that can be offered to an employer that can be applicable to the job. Networking is an imperative key to finding a job, but what most students put aside is their own personal networks involving fellow peers and faculty who have more connections than one may think. However, for those struggling with networking, the Career Center can assist by connecting students with alumni who work in their field of interest. 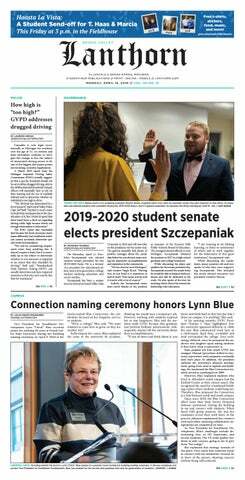 “If we know a (GVSU) alumni who is working somewhere that a student would potentially be interested in, we will reach out to students individually and connect them with that alumni,” Knapp said. If networking may not be the issue, counselors at the Career Center focus on self-reflection in terms of what kind of skills, knowledge and experiences a prospective employee can put on display. Jared Thompson, a 2014 GVSU graduate who is currently working with a nonprofit organization in Grand Rapids, encourages students to use campus career events to connect with employers. The Career Center regularly schedules on-campus interviews with employers for internships and professional positions, which are open to both students and alumni. “Even if you’re an alumni searching for a job, you are still welcome back to the Career Center for help; you’re a Laker for a lifetime,” Knapp said. With a variety of services and events that focus on post-graduate employment, the Career Center continues to place high importance on student interactivity and involvement if they are adamant about landing a job straight out of college. Knapp offers a few words of hope for those struggling with employment discouragement. “Just because one door closes doesn’t mean it will always be closed; it’s just closed for that time,” she said. The next job networking opportunity will be the GVSU Winter Career Fair at the DeVos Place Convention Center on Feb. 24.